Social networking can seem a little daunting if you’ve never dipped your toes in. There are so many different sites – What is each one about? Which ones should you sign up for? How do you use them? 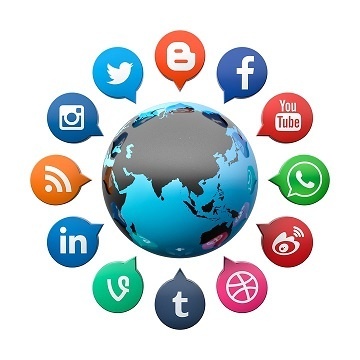 In this crash course, you’ll learn enough about each social network to get you started. Facebook is the largest social networking website in the United States and Europe. Its main features are that you can add your friends and stay in touch, as well as see a constant news stream about what’s going on with the people around you. In many places in the world, “Facebook me” is a common phrase. Being on Facebook will allow you to stay in touch with people you may otherwise slip out of contact with. Twitter specializes in fast, sound-bite sized 280 character messages called “tweets.” These can be anything from quick life updates to business tips. Twitter utilizes a “following” system, where you can “follow” other people to see their tweets and others can “follow” you to see yours. Blogging allows just about anyone to publish a website quickly and easily. Through blogging, people who wouldn’t otherwise start a website can quickly become ranked in the search engines and publish their ideas to a lot of people. A blog is short for “Web Log,” a sort of online journal. Blogs tend to be updated more often than other websites. LinkedIn is like Facebook for professionals. You can upload your resume, work history, references, and testimonials as well as have professional relationships online. In many industries, especially tech-related industries, your LinkedIn profile can be as important if not more important than your physical resume. Digg and Reddit are voting based news sites. Other users submit articles which are then voted on by the users. When you browse the front page, you’re presented with the highest rated articles. That means that your news is chosen by democracy and end users rather than by magazine editors. StumbleUpon is a unique social networking site that helps you randomly find websites that you might enjoy. It does it through a combination of the interests you provide as well as your previous habits. Here’s how it works: First, you install a browser toolbar. When you want to “StumbleUpon” a new site, just click the Stumble button and you’ll be taken to a random website that the system thinks you’ll like. Meetup is another popular social networking website. With Meetup, however, most of the interaction happens in person rather than online. Meetup helps create physical meetings where people get together around various topics, from philosophy to dating to hiking. As you can tell, there are all kinds of different social networking sites out there. The best way to learn is to just pick one or two and get started. It’s a lot easier to learn than it looks!